China has launched a campaign to regulate kindergartens in urban residential communities, which is to ensure that they are public or non-profit. Communities that do not have kindergartens or those with an insufficient number of kindergartens should build new ones, according to a notice issued by the State Council, the Xinhua News Agency reported on Tuesday. Existing kindergartens in these comminutes should all be handed over to local education authorities to be turned into public or inclusive private ones, the notice said. These kindergartens should be public or non-profit, it reads. The move is to address problems with disproportionately distributed kindergartens. According to a 2017 research, some communities do not have kindergartens, while some, although they have, did not build them into public or non-profit ones. 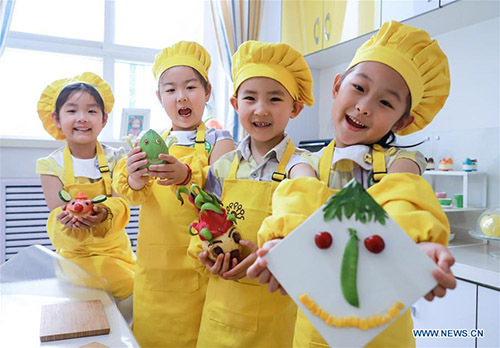 Lü Yugang, director of the basic education department of the Ministry of Education, said that local education authorities should conduct a thorough inspection of all community-affiliated kindergartens by the end of April.